Have had my 2000 S for almost a month now. 34k on the clock. Ocean blue with grey int. 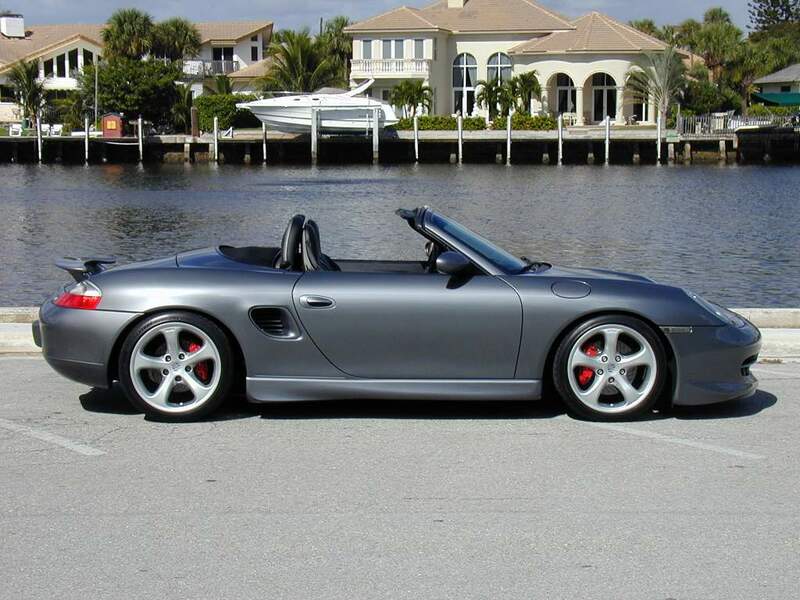 Came with hard top and Aero II package, 6 speed. Info on this site helped tremendously! 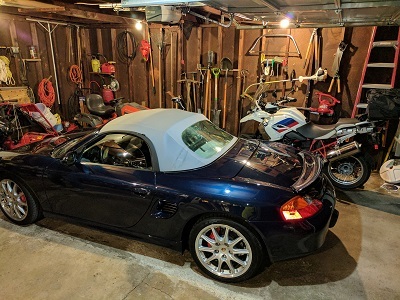 We need pictures of said new to you Boxster. Always a fan of Ocean Blue! Welcome to the club. Love the color. How do you like the gray interior? Most of the Ocean blue models I have seen have the matching Blue top as well so your color combo is unique, Unless they replaced the top. Nice wheels too! Did you have a PPI done? The top is original color, according to the build sheet. The car also came with a set of Blizzaks mounted on turbo twists. We went to a dealer to look at a 1 or 3 series BMW to replace my old Saab 95. 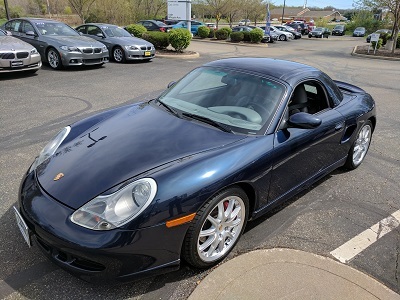 The wife walked around the Boxster twice, yelled to the sales guy and I across the lot "This one is ours". After both of us drove it, we realized the car wasn't going to sit long at the price they were asking, check written! Next day called Steinels to set up an appointment for the IMSB work. He also found a cracked motor mount, and pivot for the clutch fork to be roached. Clutch was 40% gone also. Did the RMS and AOS while he was in there. Even with the work, I don't feel I did bad, especially how fun the thing is to drive!